With the notable exception of the mighty Jack Good, Larry Parnes was very probably the most important non-performing figure in the history of UK Rock’n’Roll. Indeed, without Parnes (and certainly, without Good!) UK R’n’R would have been an entirely different proposition… one which hardly bears contemplating!!! Generally speaking, success owes everything to good luck and good timing, and Laurence Maurice Parnes (3rd September, 1929 – 4th August 1989) was perhaps the classic case of a man being in precisely the right place at the right time. Rock’n’Roll was very much in its infancy in the UK and he had no real competition, therefore there were no ‘rules’ either for him to follow, or to break. From a standing start, with no experience whatsoever, he became the most powerful man in UK Pop (a contemporaneous BBC Panorama documentary described him as a ‘Beat Svengali’), active as a manager, agent, impresario and music publisher; just about the only area he didn’t get involved with was records, presumably because artists’ royalties in that era were so poor (and his 50% of next-to-nothing would have been negligible!) 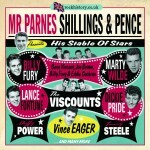 Due to his spectacular successes, some wag christened him “Parnes, Shillings And Pence” (most sources attribute this to Marty Wilde), a nickname which subsequently stuck throughout his life. It transpired that a small-time management team had hired Kennedy to drum up publicity for a young merchant seaman, Tommy Hicks, a singer/guitarist who was playing the various Soho coffee bars and clubs, where he’d already built a bit of a reputation. Kennedy had instinctively realised that Hicks possessed genuine star quality, and he wanted to muscle in on the action. Hicks had been underage when he’d signed his original contract – he was still just nineteen – at which point Parnes and Kennedy approached his parents with a new, legal management contract, and took over. In the context of his full, 50-odd year career (which is still thriving, although he’s now in his mid-seventies), Tommy’s days as a Pop star were relatively brief. But he was nonetheless the UK’s first proper Rock’n’Roller (you really can’t count the various MOR and Jazz singers/musicians who’d been trying to cash in on the genre’s sudden success) and for some eighteen months or so he was a full-on Pop star, with riots, hordes of screaming girls and all the rest of it, wherever and whenever he appeared in public. He sold truckloads of records (including a couple of No.1 LPs) and appeared in a trio of phenomenally successful low-budget movies (notably the autobiographical Tommy Steele Story); but Larry very quickly steered his career towards that of an all-round entertainer, which was in essence where Tommy’s ambitions lay. Nonetheless, between 1956 and 1961 he chalked up some twenty hit singles, including his memorable reading of Guy Mitchell’s ‘Singing The Blues’ (No.1, January ’57), ‘Handful Of Songs’ (No.5, September ’57) and a great cover of Ritchie Valens’ ‘Come On Let’s Go’ (No.10, December ’58), whilst his version of Charlie Gracie’s ‘Butterfly’ had appeared on the All Star Hit Parade No.2 EP, which also made the singles’ charts (No.15, August ’57). On the back of Tommy’s extraordinary, virtually overnight success, Kennedy persuaded Parnes that they could repeat the process with his younger brother, and so they also tried to turn Colin Hicks into a R’n’R star. But although he was big on ‘attitude’ and certainly talked the talk, young Colin possessed precious little of his brother’s talent and after cutting just a couple of unsuccessful 45s, the better of which was his debut, ‘Wild Eyes And Tender Lips’/‘Empty Arms Blues’, his contract was cancelled (ironically, he went on to become a big star in Italy for a couple of years). At this point, Kennedy – who was already bored by Rock’n’Roll (he’d hoped to break Colin Hicks into movies) – split with Parnes and concentrated instead on non-showbiz interests, mainly pursuing the life of a professional gambler. Larry had indeed been actively trying to ‘discover’ a new act, to the extent that he was actively out and about, checking out the coffee bars, small clubs and dancehalls. He’d all but given up hope when songwriter Lionel Bart tipped him off about a tall, strapping, handsome, eighteen year-old, ‘Reg somebody-or-other’, who sang just like Elvis and was performing at The Condor Club. By the time Larry got along to the club the singer had gone, but he was able to get Reg’s address and turned up at his house, the next day, with a management contract already made out in the name of Reginald Leonard Smith. Marty’s regular backing group, The Wildcats – who featured the late Big Jim Sullivan on guitar – eventually got to record with him the following year, and the difference was palpable. During 1959 he released four massive hits, simply magnificent covers of Ritchie Valens’ ‘Donna’ (No.3, May ’59), Dion & The Belmonts’ ‘Teenager In Love’ (No.2, July ’59) and Phil Phillips’ ‘Sea Of Love’ (No.3, November ’59), as well as the self-penned ‘Bad Boy’ (which peaked at No.7 in January ’60). The latter disc even made the US charts, climbing to No.45, at a time when British Rock’n’Roll records were barely even being released in America. However, Wilde’s days as a Teen Idol were numbered once he’d announced his engagement (which Parnes – rightly – thought was tantamount to career suicide). This in turn served to hasten the further announcement of an unwise change in musical direction, in which Marty (presumably, at Parnes’ behest) was relaunched as a ‘serious’ singer, something along the lines of South-East London’s answer to Bobby Darin. The comment famously ascribed to Marty at this time was: “I’m approaching twenty-one now, and I think it’s about time to branch out. I want to drop most of the Rock stuff and do the real class stuff like Sinatra.” Predictably, perhaps, the experiment was summarily unsuccessful (his big band-backed LP, The Versatile Mr Wilde, was a spectacular failure) and before too long, Marty was back to cutting quality Pop records again – the self-penned ‘Tomorrow’s Clown’ (No.28, November ’61) being a case in point. By the late 50s, Parnes was cautiously building his ‘Stable Of Stars’, commensurate with the ongoing R’n’R explosion, which saw new, home-grown R’n’R heroes being unveiled, virtually every week. And whilst Larry wasn’t signing new acts quite that frequently, he was gradually starting to add to his roster. Next up, he launched Vince Eager (the former Roy Taylor) – although to be brutally frank, he’d actually stolen him from 2I’s coffee bar proprietor Paul Lincoln, who’d been managing The Vagabonds, having installed them as his house band (Taylor was merely their singer at that stage). However, Lincoln hadn’t got around to organising a formal contract with the boys, so the ever-astute Parnes simply stepped in, tidied up the paperwork, and signed them up. Whilst he wasn’t anywhere near as big a star as he’d nowadays have you believe, Vince was nonetheless a competent and popular live act, and became extremely well-known as a result of regular TV appearances on Oh Boy!, Boy Meets Girls and Drumbeat! Although ultimately destined to never quite “make it”, it does seem somewhat incongruous that he was unable to get at least one record away, as he cut nine singles – for Decca, Parlophone and Top Rank – between 1958-61. Like most of the UK’s early Rock’n’Rollers his records were virtually all covers, the pick of which were probably The Kendall Sisters’ ‘Yea Yea’ (which was cut as a single but withdrawn, eventually appearing on his 1958 EP Vince Eager & The Vagabonds), Gene Vincent’s ‘Five Days, Five Days’ (1958), Rod Bernard’s ‘This Should Go On Forever’ (1959), and Conway Twitty’s ‘Lonely Blue Boy’ (1960 – a song previously recorded by both Elvis Presley and Marty Wilde, as ‘Danny’). Although a relative latecomer to the scene, Billy was arguably the UK’s finest Rock’n’Roller – certainly, his reputation has not only remained intact, it has continued to sustain, grow and expand over the ensuing decades. Larry immediately set to grooming him for success – a trip to the tailor’s was followed by a visit to the barber’s – and within just weeks, Bill had a brief role in a television play, Strictly For The Sparrows, in which he sat around in a coffee bar, strumming his guitar and looking moody. But it wasn’t all plain sailing; looking for a record deal, Parnes initially approached Philips (Marty’s label), confident that they would bite his hand off for his latest protégé – but to his eternal astonishment, the buffoons turned him down. Larry next tried Tommy Steele’s label, Decca, whose head of A&R, Frank Lee, saw in Billy precisely the same qualities that Parnes had so instinctively recognised. Billy debuted in January ’59 with the exquisite ‘Maybe Tomorrow’, introducing it on a couple of low-key TV Pop progs, Cool For Cats and The Jack Jackson Show; but it wasn’t until he sang it on Oh Boy! that the disc began to move. A couple of weeks later it was in the Top 20 (it would peak at No.18 in April), by which time Bill had already established himself as an Oh Boy! regular, where he was starting to outgun all the established heavies, even Marty Wilde. He registered his first top tenner a year later with ‘Colette’ (No.9, April ’60), which was followed almost immediately with the celebrated 10” LP The Sound Of Fury, which stands unchallenged as the finest R’n’R album ever recorded by a British artist (it even made the UK album charts, at No.18 in June ’60). ‘That’s Love’ was spun off as a single (it peaked at No.19 the same month) although by common consent, the standout track was ‘Turn My Back On You’. ‘Wondrous Place’ – which would become something of a signature tune – made No.25 in October ’60, and Billy registered his first real mega-hit across the summer of ’61 with the career-defining ‘Halfway To Paradise’ (ironically, a song he had little time for), which spent three months in the Top 10, peaking at No.3 in August, setting him up for a five-year run of success. By the summer of ’59, Larry had seven singers under contract, viz: Tommy Steele, Marty Wilde, Vince Eager, Billy Fury, Dickie Pride (aka Richard Knellar), Johnny Gentle (the former John Askew) and Duffy Power (Ray Howard), and he was about to expand his empire via the further addition of ‘old-timer’ Terry Dene (albeit on a trial basis), a token girlie rocker, Sally Kelly, and the irrepressible Joe Brown. Richard Knellar was discovered singing in The Castle, in Tooting, by pianist Russ Conway, and – according to his press biog – he attended The Royal College Of Church Music and had sung in the choir at Canterbury Cathederal. Whatever the case, he was a memorable live performer, dubbed “The Sheik Of Shake” due to his (ahem) unusual ‘gimmick’ of vibrating like a pneumatic road drill whilst singing. Larry had no problem in getting him a contract with EMI’s Columbia label – but it was then that his troubles began. On disc he was hampered by hamfisted session players and non-R’n’R arrangements, and consequently his records did him little real justice. He debuted in 1959 with covers of Little Richard’s ‘Slippin’n’Slidin’ and Frankie Sal’s ‘Fabulous Cure’, which were enthusiastic enough rockers (their inappropriate backing notwithstanding), but his third release, a cover of Jerry Wallace’s ‘Primrose Lane’, found him deep in Michael Holliday territory. Ironically it would be his only chart entry (No.28, October ’59) leading to a similarly-styled follow-up, ‘Betty Betty (Go Steady With Me)’ (a dodgy Brill Building rockaballad, cowritten by Jeff Barry). A rather better illustration of Dickie’s talents can be gleaned from the ‘duet’ he sings with Marty Wilde and Cliff Richard on Oh Boy! in May ’59, viz: ‘Three Cool Cats’. In 1961 Larry coerced Dickie to cut an album of standards, Pride And Prejudice, backed by the Ted Heath Orchestra. It was as bad as it sounds, and it effectively finished his career. Not long afterwards Parnes discovered that Dickie was taking drugs, and tore up his contract. One of R’n’R’s earliest casualties, he died in 1969, at the age of 27, allegedly from an accidental overdose. Gentle’s first single, the self-penned ‘Wendy’, was very nearly a hit, but that was as close as he got. Its follow-up ‘I Like The Way’ failed to make any impact and after three further releases, the game was up. His live version of ‘Mack The Knife’, from Saturday Club, probably gives an indication of the direction in which he would like to have taken his career. He later commented: “It just wasn’t an exciting name… it didn’t conjure up anything for the kids who went to watch the shows… I mean, Parnes had Billy Fury, Marty Wilde, Tommy Steele – Johnny Gentle? !” In 1962 he changed his stage name to Darren Young, but with no greater success, and by the mid-60s he’d joined The Viscounts. But Gentle had enjoyed an extraordinary stroke of luck when he was sent off on a tour of Scotland in May 1960, accompanied by a backing group whom Parnes had auditioned in Liverpool a few weeks earlier, The Silver Beetles. He has been able to dine out on the experience regularly over the ensuing decades, appearing at Beatles’ fan conventions and/or as a talking head in just about any Beatles documentary he could encroach upon. Indeed, in 1998 he even wrote a book about it, Johnny Gentle & The Beatles: First-Ever Tour! Another hugely-talented singer who underachieved, fairly substantially, was Duffy Power, né Raymond Howard. Larry spotted him at a talent show in Shepherds Bush, and swiftly arranged an audition with Fontana Records, which he duly passed. Ray – who was already known as ‘Duffy’ by his friends – subsequently found himself saddled with the recently-deceased Tyrone Power’s surname, although he’s borne it comfortably enough over the years! He was actually a superb singer, although you would hardly have guessed this from his records – because Fontana had about as much empathy with Rock’n’Roll as the (then) Prime Minister, Harold Macmillan. He debuted in 1959 with a cover of Bobby Darin’s ‘Dream Lover’, which missed out comprehensively to the (far better) original version (which topped the UK charts) – the flip, Ritchie Valens’ ‘That’s My Little Suzie’, would have been the better bet. His cover of Bobby Rydell’s derivative ‘Kissin’ Time’ did little better, whilst a big band-driven revival of Jerry Lee Lewis’s ‘Whole Lotta Shakin’ Goin’ On’, the following year, really has to be heard to be believed! The Bluesy ‘What Now’, a 1961 release, gave the first recorded inkling of what he was capable of, and it signalled the way ahead for Duffy, who would go on to carve out a considerable reputation as a Blues singer and harp-player. Meanwhile, the one artist whom Larry was famously unable to persuade to accede to his (by now, obligatory) change-of-name process, was of course Joe Brown. Probably because of his Cockney persona, record companies were vaguely unsettled by Joe and didn’t quite know what to do with him. He cut three singles for Decca, the first of which paired up a couple of Doc Pomus & Mort Shuman rockaballads, ‘People Gotta Talk’ and ‘Comes The Day’. When that failed to register he revived an old Music Hall favourite, ‘Darktown Strutters’ Ball’, which made the charts (No.24, March ’60). A change of label, to Pye, saw him return to the lower reaches of the charts with ‘Shine’ (No.33, February ’61), following which he was switched to Pye’s new Piccadilly subsidiary. 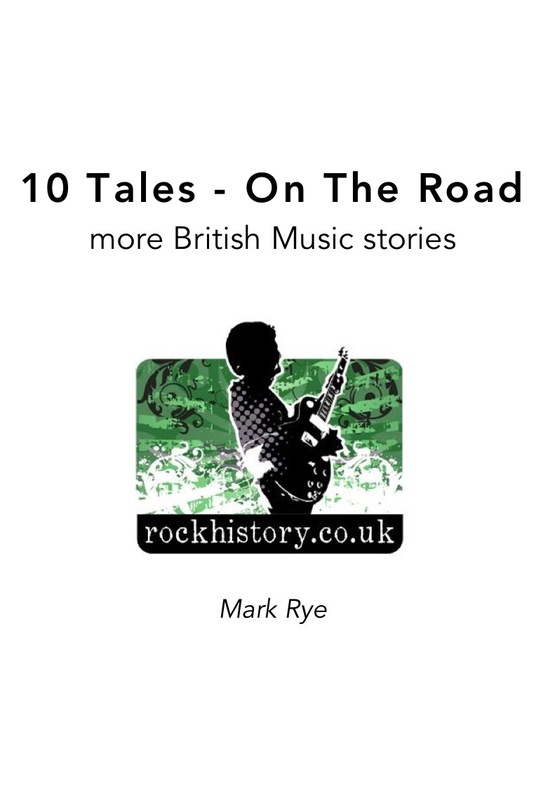 ‘Stick Around’ – a song also recorded by Billy Fury – made for an interesting B-side, and although it would be another eighteen months before he finally cracked it big with ‘Picture Of You’, he very nearly did it with ‘I’m Henery The Eighth I Am’, which gained extensive radio play during the Summer and Autumn of 1961, and is widely regarded as having been a hit for Joe (it remains one of his most enduring numbers). Meanwhile, although he’d never previously given to working with ‘established’ artists, preferring to discover and develop his own new talent, Larry decided to take a chance on the notoriously troubled Terry Dene, who in 1959 was in a sorry state, having not had a sniff of a hit for a year, been booted out of the army, fired by his management, and crucified by the press. He was also about the be dropped by his record company, Decca, who released one last single, pairing up covers of Frankie Avalon’s ‘A Boy Without A Girl’ and Brook Benton’s ‘Thank You Pretty Baby’, around about the time Parnes signed him. By now Terry was in extremely poor emotional and mental shape, and drinking heavily, although he promised Larry that he would change his ways and get back on the straight and narrow. Parnes duly sent him out on a couple of tours and managed to get him a recording contract with the independent Oriole label, for whom he debuted with ‘Geraldine’. But eventually Dene proved unreliable, which was an anathema to Larry, and his contract was terminated. Another artist who was only briefly involved with Parnes, yet caused him a certain amount of grief was Lance Fortune, the former Chris Morris, from Birkenhead, a classically-trained young singer whom Larry had spotted at the 2I’s coffee bar. Larry duly came up with the prescribed stage name and record company contract, landing him a deal with Pye, for whom Lance recorded his first 45, the pizzicato string-driven ‘Be Mine’ – based heavily on Buddy Holly’s ‘It Doesn’t Matter Anymore’, care of arranger/bandleader John Barry. But there were problems. It was an Italian song, with an English translation which Southern Music were unable to get approved by the Italian publisher, and it was held up for several months. In the interim he recorded another disc, ‘This Love I Have For You’/‘All On My Own’, but this was also put on ice. However, by the time of ‘Be Mine’s eventual release Fortune had decided not to sign with Larry, but the rival George Cooper Organisation. To rub salt further in the wounds, the disc became a huge hit, reaching No.4 in March ’60, and he also charted briefly with the follow-up (No.26, May ’60). But despite the impressive start his fame proved shortlived, and without Parnes handling his career his popularity soon began to fade (Cooper was an Agent rather than a Manager, and as such was unable to generate his artists comparable levels of TV and/or radio exposure). Larry’s ‘token’ girl in the camp was twenty year-old Sally Kelly, from Dublin, a tiny colleen who wore skin-tight, knee-length strides and was billed as ‘Miss Rock’n’Roll’. She seems to have been introduced to Larry by Nancy Spain and was, by all accounts, a dynamite live performer – certainly, she was a regular on Larry’s package tours for a couple of years. She cut just two 45s for Decca, debuting in 1959 with Lionel Bart’s ‘Little Cutie’ and following up early the following year with a cover of Jeanne Black’s US hit ‘He’ll Have To Stay’ (itself the ‘answer disc’ to Jim Reeves’ ‘He’ll Have To Go’) b/w ‘Honey, That’s All Right’. Whilst Parnes rarely worked with groups (apart from backing musicians, whom he largely treated as serfs!) he looked after The Viscounts, a vocal trio who’d formed as a breakaway from the Morton Fraser Harmonica Gang, in late 1959. They wrote to him requesting an audition and within a week they’d been added to a Marty Wilde/Billy Fury tour, and Larry had got them a recording contract with Pye. Their first disc, ‘Rockin’ Little Angel’/‘That’s Alright’ covered both sides of a breaking US hit for Ray Smith (the flip had earlier been a regional hit for Ral Donner) and it sold very well – it even made the Top 5 in Australia, although their wily manager talked them out of going out there to promote it, insisting that they concentrate on establishing themselves in the UK. Their next release, a revival of ‘Shortnin’ Bread’ actually made the lower reaches of the charts, but they’re perhaps best remembered for their cover of Barry Mann’s ‘Who Put The Bomp’, which took them into the Top 20 (peaking at No.18) in October ’61. After Gordon Mills left, to manage Tom Jones, he was briefly replaced by Darren Young (the former Johnny Gentle); but by the mid-60s they’d run out of steam, and they eventually ground to a halt. Meanwhile, Parnes was continuing to expand the ‘stable’. His next signing, Julian X – often billed as plain Julian – found himself saddled with perhaps Larry’s lamest stage name (frankly, there was nothing wrong with his real name, Julian Lee). A nineteen year-old merchant seaman, who’d made a bit of a reputation for himself following appearances at the 2I’s coffee bar, Larry spotted him on a TV talent show, Find The Singer, and decided to launch him as the UK’s answer to Fabian. By all accounts he was originally down to cover The Fleetwoods’ ‘Mr Blue’, but missed the session due to illness (instead, David MacBeth recorded Pye’s version and was rewarded with a minor hit). He eventually debuted with Ian Samwell’s ‘Sue Saturday’ in December ’59, which actually got some airplay but ultimately missed out on chart action. Within a year he’d finally realised that his stage name was something of a liability, and he subsequently relaunched himself as Julian Scott. Ironically, Larry’s next artist, the awesomely-photogenic Nelson Keene, did enjoy a brief spell in the spotlight, charting with his first 45, a cover of The Safaris’ ‘Image Of A Girl’ (b/w ‘Ocean Of Love’) on the HMV label, which made No.37 in September ’60. Seventeen year-old, baby-faced Malcolm Holland had sent a demo of his group, The Raiders, to Parnes, along with a photo; Larry took one look at the pic and immediately signed him up as a solo act, launching him via the Idols On Parade summer show at Blackpool in 1960, on a bill which included Joe Brown, Lance Fortune and Tommy Bruce. But despite his promising start, Keene’s follow-up singles ‘Teenage Troubles’ and ‘Miracles Are Happening To Me’ sold rather less well, and his fifteen minutes of fame were soon up. Funnily enough (and not a lot of people know this! ), Joe Brown wasn’t quite the only Parnes-managed artist to retain his real name; former police cadet and Grenadier Guardsman Peter Wynne was also accorded that same privilege. Pretty much Parnes’ last throw of the dice, in terms of launching new acts, the classically-trained tenor sang in a style which was totally different to Larry’s usual R’n’R-oriented lads, and was pushed as an old-fashioned, big-voiced MOR crooner (ironically, in a style similar to that which Tom Jones and Englebert Humperdinck would successfully revive, a couple of years hence). However, after four unsuccessful singles for Parlophone – ‘Chapel Of Dreams’ was the first, ‘I Need You Close Again’ was the flipside of the second – he cut one further 45 for Polydor before taking the decision to change his stage name to Simon Smith (which is wildly ironic, given the circumstances). Although not all his charges were destined to enjoy success, Parnes remained fiercely and passionately loyal to all his acts, defending them in the face of all criticism. To his dying day he insisted that Tommy Steele was a far bigger talent than Elvis (certainly, it could be argued that all Tommy’s pantomimes, end-of-pier shows and dodgy musicals were no worse than those godawful movies which Elvis made!) and in the 60s, he dedicated himself to managing Billy Fury more or less full-time, once he’d wound down his other contractual commitments. During the late 50s, Larry had been the first UK impresario to promote dedicated R’n’R one-nighter package tours, frequently booking headlining and supporting acts whom he did not directly manage. The most (in)famous of these was of course the Eddie Cochran/Gene Vincent tour, which ended in tragedy in April 1960 when Cochran died following a car smash on his way to the airport after the final gig of the tour. Cochran, in particular, had gelled well with the English Rock’n’Rollers they’d toured and appeared on TV and radio with, as evidenced in the clip of Eddie, Gene, Billy Fury and Joe Brown singing ‘My Babe’, on Boy Meets Girls, shortly before that fateful tour. Finally, whilst Parnes never actually managed Jess Conrad, he certainly ‘courted’ him and also presented him on several package tours and, in an unlikely twist to the tale, in 2008 Jess played the role of Larry in the Joe Meek biopic, Telstar. Jess’s own biggest hit came with ‘Mystery Girl’ (No.18, March ’61), although he remains perhaps better known for ‘This Pullover’, which gained instant notoriety when it topped the list of Kenny Everett’s World’s Worst Records in the mid-70s, and was included on the subsequent yuk-green K-Tel LP! In closing, Joe Brown mentioned earlier that Larry did not possess a sense of humour. This was perhaps confirmed beyond any reasonable doubt in 1982 when Paul McCartney, appearing on Radio 4’s Desert Island Discs, told host Roy Plomley that The Silver Beetles had never been paid for the Scottish tour they did with Johnny Gentle back in May 1960. Parnes subsequently sued both McCartney and the BBC for defamation. Both parties eventually settled with him out of court, and the matter was finally brought to a close two years later when Plomley read out a formal apology, adding that McCartney’s remark had been intended as a joke. Big Thanks to Pete Frame, Kevin Howlett, Johnny Rogan, Tony Wilkinson, Dave Penny and Lucky Parker. The majority of the quotes in the above notes were taken from the BBC Radio 2 programme “Starmakers And Svengalis – Mr Parnes, Shillings And Pence”, broadcast circa 1990, presented by Alan Freeman, produced by Kevin Howlett & Pete Frame. My profound thanks to Kev and Pete for allowing us to reproduce them here.